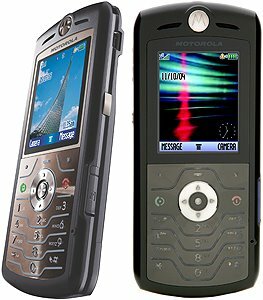 Kent German has reviewed the Motorola Slvr L7. Apple today unveiled a new 1GB iPod nano for just $149, offering the same features as the 2GB and 4GB iPod nano models and holding up to 240 songs or 15,000 photos. 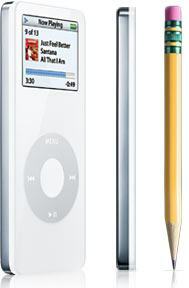 The new 1GB iPod nano’s ultra-portable design is thinner than a #2 pencil and features Apple’s patent pending Click Wheel and the same gorgeous color screen as the other iPod nano models. In addition, Apple announced that the iPod shuffle is now more affordable than ever with the 512MB and 1GB models priced at $69 and $99 respectively. Featuring seamless integration with the iTunes Music Store and the iTunes digital music jukebox, iPod nano includes Apple’s patent pending Auto-Sync technology that automatically downloads a user’s digital music collection, photos or Podcasts onto iPod nano and keeps it up-to-date whenever iPod nano is plugged into a Mac or Windows computer using USB 2.0. The 1GB white and black models of iPod nano for Mac or Windows are available worldwide immediately for a suggested retail price of $149 (US), through the Apple Store (www.apple.com) Apple’s retail stores and Apple Authorized Resellers.